Last week, the Bureau of Labor Statistics released data on changes in union membership from 2016 to 2017. It was good news for workers, as the total number of union members grew by 262,000 in 2017. Three-fourths of these gains (198,000) were among workers aged 34 and under, who account for less than 40 percent of total employment. Historically, younger workers have been less likely than older workers to be a member of union. 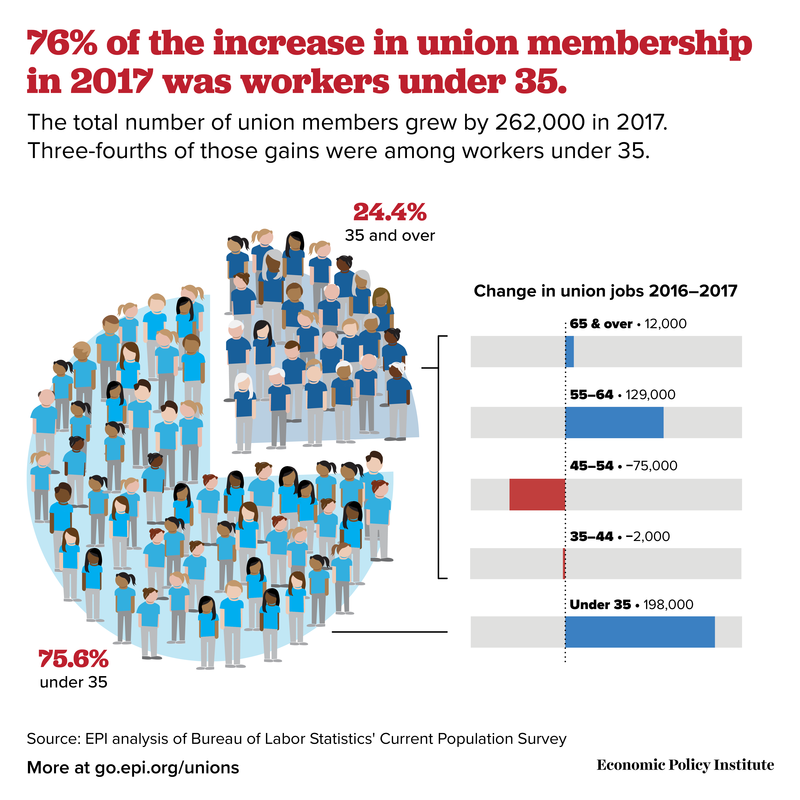 In 2017 about 7.7 percent of workers 16–34 were members of a union, compared with 12.6 percent of workers age 35 and older. But last year, of the 858,000 net new jobs for workers under age 35, almost one in four (23 percent) was a union job. In a recent EPI paper, we explain that one reason younger workers are joining unions is to address current workforce trends that are increasing work insecurity from the rise of part-time work and unpaid internships to increased numbers of contract workers.